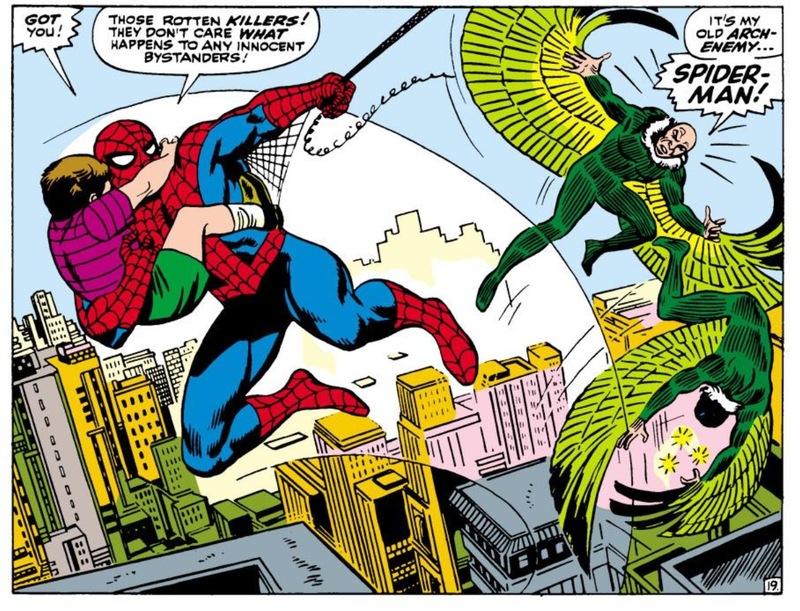 Something I’d like to do with some regularity around here is to highlight specific issues of Amazing Spider-Man which I own and give you some background and insight about when and how I obtained them. While these posts may contain some general talking points about the issue itself, its plot, its art, its significance in the Spider-Man lexicon, let me be clear that these are not reviews. Think of these posts instead as my collection’s biography (and if any of these stories happen to provide you with some biographical information about myself, so be it). The best way to start an ongoing series of posts about issues from my past woud be with Amazing Spider-Man 63. 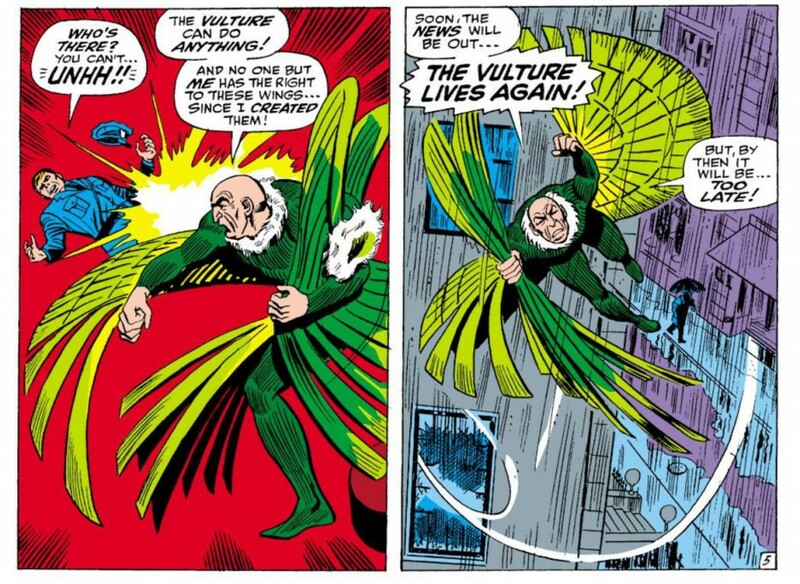 First published in August 1968, ASM 63 is an utterly unremarkable issue in the series’ history — unless you’re a big-time fan of the villain, the Vulture (hey, this issue had TWO Vultures). But for me the acquisition of #63 marked my transition from childhood fandom and adoration of Spider-Man comics to full-on “collector.” Without it, I probably never would have decided to go on this crazy journey. That’s pretty significant for an otherwise innocuous comic. I purchased #63 during the days following Christmas, 1994, when I was still in junior high. I picked it up, not because I liked the Vulture or was in-love with the cover, but because it was “old” and it was Spider-Man. What other explanation did you expect from a 13-year-old? At the time, my comic book “collection” resided in an old empty wine box in my parent’s basement (where all nerdy things reside, include bloggers, I would learn from the Internet). They were not protected by bags, boards, or any other kind of preservative material: just a box of comics which I would read, trace, cut pictures out of and generally destroy. The box was filled predominantly with late 1980s/early 1990s copies of Spider-Man, but I was also prone to pick up issues of X-Men, Captain America (another early childhood favorite), Hulk, Iron Man, Superman (yes I’d even buy from the competing DC brand though I’m still a Marvel boy to the end) and who knows what else. As I’ve said on Chasing Amazing previously, most of my comics were purchased with my weekly $1 allowance, either following church on Saturday evenings or after school when I could convince my brother to walk to the corner store with me. Around that time, I was an avid baseball card collector and even had a designated shoebox for cards my brother and I would refer to as “valuables” — cards that were generally worth a few dollars and thereby needed to be preserved in a hard plastic cases so one day I could open my own baseball card shop and sell them. One of my earliest memories of that collection is my brother giving me a Daryl Strawberry 1984 Topps rookie card for my 6th or 7th birthday — the ultimate gift for a New York Mets fan still in elementary school. I treasured that box of cards, keeping the valuables securely in their cases. The idea that comic books could potentially contain that same level of value was foreign to me. But by the winter of 1994, comics were becoming a “thing” in my school primarily because of the explosion of artist Todd McFarlane, the comic book artist and toymaker who was all the rage because of his latest comic/pop culture creation, Spawn. To this day, I’ll be damned to tell you the backstory of Spawn. 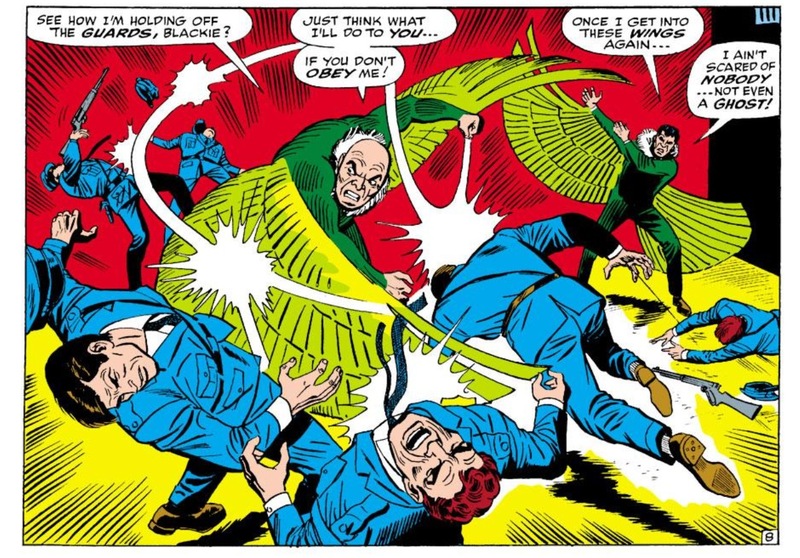 He’s dead or something and his superpowers are … yeah, I got nothing. Amazing Spider-Man #300 … didn’t I already have that? Sorta, but I’ll save you the nitty-gritty details on that for another post. However, the relevant point here was McFarlane was responsible for illustrating a run of Amazing Spider-Man, including #300, which as my classmates would reminded me, cost “like a hundred bucks.” One hundred bucks for a comic book that came out just a few years ago? That was nuts. For baseball card nerds, that was the equivalent of the 1989 Ken Griffey Jr. Upper Deck rookie. That was a bit of an “A Ha” moment for me regarding the actually collectability of comics, so I immediately went out and bought a comic price guide to appraise my collection and some protective bags and boards. I found out I didn’t have much of value, but in the process, I was completely floored by how much the older ASM issues were going for and realized that there was possibly more financial potential in comics than baseball cards. Little did I know that at that precise moment, the comic book industry was in the midst of an unsustainable growth pattern that led to an over-emphasis on collectability. 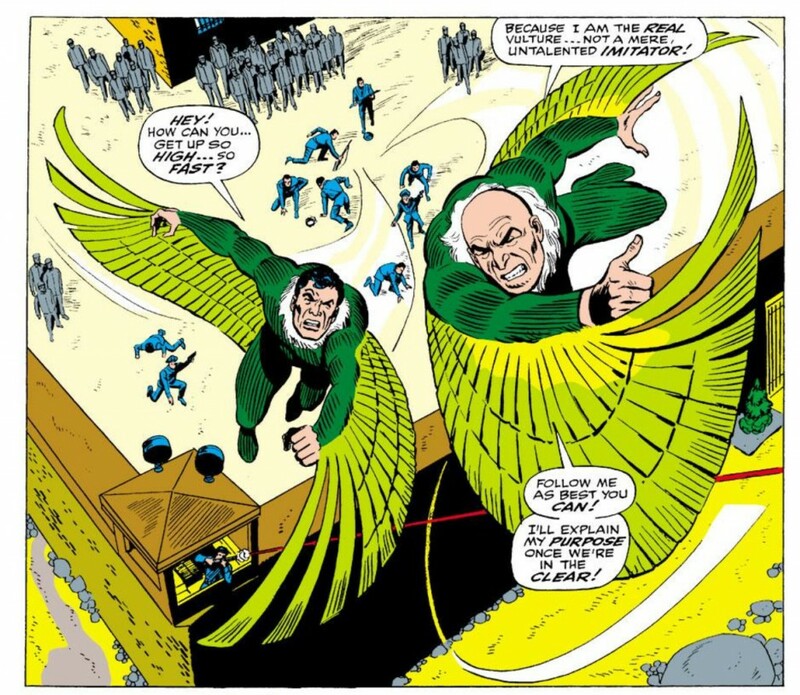 Publishers were killing off major characters (Superman) or launching titles with multiple covers (X-Men), leading to an overproduction of comics because dealers wanted to meet surging customer demand. And as basic economics go, oversupply leads to an eventual decline in value. So, I, like the rest of the world, got into collecting comics as a way to “get rich,” but the vast bulk of current issues I purchased during this period are now practically worthless because there are like two million of them out there. Of course, I STILL haven’t covered ASM #63. Before this becomes the blog-post version of the “How I Met your Mother” sitcom, let me attempt to fast-forward. So now that I understood that these little cartoon books in my parent’s basement had value, I had to decide which issues I wanted to collect. Would I just continue to keep spreading things out, or did I want to narrow my focus since I was a kid with limited resources? I was leaning towards the latter and in that box was about 10 or so issues of Amazing Spider-Man, Spider-Man’s flagship title (there was also Spectacular Spider-Man, Web of Spider-Man, and just Spider-Man) so I already had the general base for a “collection.” As Marvel’s most popular superhero, he was always one of my favorites — I remember as a little kid my father bringing home videos of the old cartoon series with the now famous “Spider-Man, Spider-man, does whatever a spider can,” theme song. 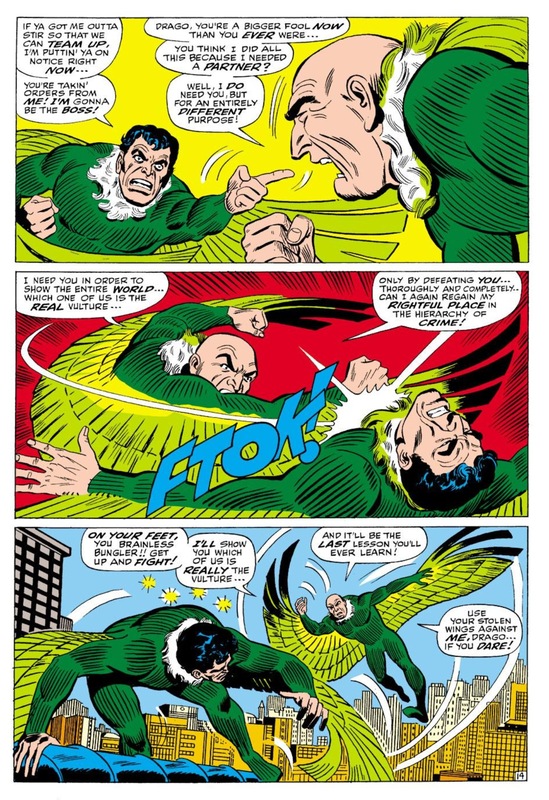 Combine that childhood nostalgia with the fact that those old Spider-Man comics were worth so much money AND the current series was only a handful of issues away from releasing #400. If #300 was worth $100, I was banking on #400 being worth at least half of that in a couple of years. So it was set, I was now going to collect Amazing Spider-Man. Yet, I still needed a primo issue to call my own. A friend of mine back then actually owned a copy of ASM #32 that his father gave him. That just blew my mind. To me, the thing that really brought home the idea that these issues were old was the 1960s-era newsstand cost ñ 12 cents. I wanted a 12 cent Spider-Man comic and I honestly didnít care which one. The good news was I knew how I was going to get it. With Christmas nearby, some cash from relatives was coming my way. My Aunts and Uncles perfected the most impersonal way to distribute holiday gifts — with more than a dozen of us ìkidsî dispersed around the family, rather than give to everyone, each Aunt and Uncle was assigned three nephews/nieces to buy for. And since everyone needed to be treated equally, they had to spend $40, no more, no less. And since it’s so much easier to just give money in those cases, money is what I got. That money was something I was able to bank for the majority of my childhood/teens. So with this wad of cash at my disposal, a day or so after Christmas I begged one of my parents (I’m thinking my father) to take me to this relatively new comic book shop that had opened on the main drag of the next town over (On second thought, it was definitely my father. The shop was next door to a movie theater and my father LOVES going to the movies. There was probably a little quid pro quo here — Iíll take you to the comic store if you go to X movie with me). This was going to be a whole new experience for me. Previously, I would get the newest issues at this candy store down the street that also sold newspapers, cigarettes and lotto tickets. But this was a shop dedicated solely for the purchase of comics. I didn’t have to wad through other merchandise, or even baseball cards and collectibles to get right to what I was looking for. It’s worth noting this shop no longer exists. Walking into this store, I saw there were some older looking Spider-Man comics on display on a wall behind the cash register. I got the cashier’s attention and said with the authority, “What’s the oldest issue of Amazing Spider-Man you got and how much is it?” I wasn’t about to get suckered into buying something I couldn’t afford (it’s not like I had a credit card as a 13-year-old). I remember the cashier being a little confused — the “oldest” Spider-Man he had? I would later go on to learn that a lot of these shops keep a secret stash of high-end issues out of the public’s view which they take out for the “high rollers.” I clearly was not one of those, but I wasn’t going to be denied. He first took out an issue from the early 1970s, and I was immediately discouraged by seeing it was a 15 cent issue. So the cashier did a little more searching on the wall and pulled down #63. I don’t remember how much it cost, but it certainly wasn’t the entire Christmas cash stash. In fact, I probably went ahead and bought that 15 cent issue to boot. Why not? That’s how collections are built. 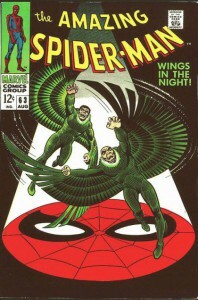 But the important thing was I know owned an “old” issue of Amazing Spider-Man. I had officially invested in something that would accrue in value the longer I held onto it.